Let's celebrate! Decor and crafts for your parties. Announcement US Customers, we ship from Buffalo, which means you get your order super fast. Just add one day to typical USPS shipping times. US Customers, we ship from Buffalo, which means you get your order super fast. Just add one day to typical USPS shipping times. Perfect! Looks just like the pictures, very excited to use these at my bridal shower! 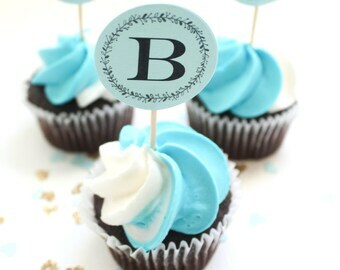 #boho wedding shower cupcake toppers. Opps! Umm I probably should have finished that coffee before counting hearts! Selling our wares at a local public school Christmas fair. Our own celebration... after 16 years we made it official, Mr and Mrs Decor and Crafts! Making your event unique and special. We are a husband and wife design team that is inspired to create something new everyday. We have the privilege of being able to accomplish this through our graphic design business ideascompany.ca, geekygoodies.com and here at decor and crafts. For inspiration when creating new items for our shop we think of what our 7 year old selves would have loved to have at our party or hanging in our bedroom. We are also motivated to create special one of a kind items for our wonderful nieces and nephews. When we see the joy in their eyes we hope our customers have the same reaction when they receive their package from us. We love to hear how our items are being used by our customers, it is our way of being a part of parties and celebrations all round the world. Styling spaces, stores, parties, and business for too many years to count. I am also one half of a design couple that is blessed to be able to work and play together 24/7. The other half that designs, creates and helps make all the ideas come to life. Our printer prints our professionally printed invitations.